Ali Mejia and Mariela Rovito launched Eberjey in 1996 with a shared vision to create comfortable pieces with love, care and kindness. They evolved the brand over time to be suitable for the modern woman with attention to wearable day-to-night pieces, while staying true to their joyful philosophy. The Miami-based brand features intimates, sleepwear, loungewear, swim and little girls' essentials using only the softest materials and finest laces. Effortless silhouettes in distinct color palettes help ease women into and out of their days. The Rosewater was NOT a whiteish pink. It was a light pink. Cute and comfy over wise, but I needed to return. I am not a pink person. Really comfy but makes me look bigger. Probably the warm material on the inside. Still kept it for the comfort! These PJs are adorable and run true to size. I ordered a small and they fit perfectly! 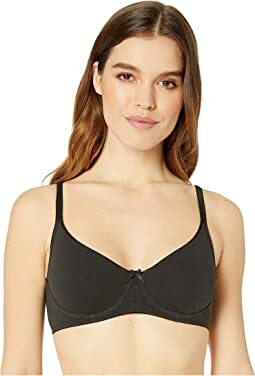 This is a great cute and comfortable bra. 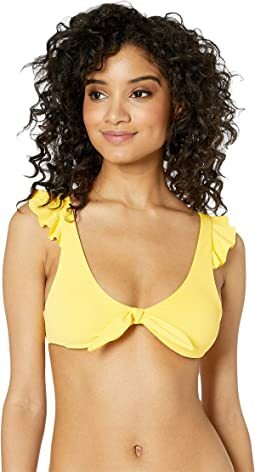 I had to return it though because it was just a bit snug and am waiting for them to get a 36C back in stock so I can purchase it. I would say it fits true to size as my normal is a 36C but often have to try various sizes because the sizing isn't consistent between companies. Comfortable, soft, perfect for lounging. These are my dream pjs. I'd been looking for a button front pj set with piping and This set is it. The fabric is divinely soft and the fit is drapey but not shapeless. Yes, the cut of the neck can hang low on some bodies -- I'm wearing these as my post pregnancy pajamas and am bigger on top than usual, so the neckline doesn't bother me. I suspect the top will hang lower when I'm back down to my normal size. Overall, not revealing at all, and totally suitable for wearing all day and even answering the door in.